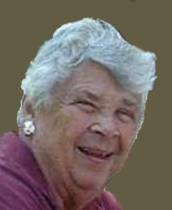 Estelle (Wilson) Cahall passed away Monday, March 18, 2019 at Nazareth Hospital. She was 90. Estelle was born on May 5, 1928 in Philadelphia, to the late James and Estelle (Mosebach) Wilson. Estelle worked as a Loan Officer for the former Frankford Trust Corporation for 15 years. She was a devoted member of All Saints Episcopal Church in Rhawnhurst, where she participated with the Handicrafters Group. She also did volunteer work at Nazareth Academy Grade School in Philadelphia. Estelle was preceded in death by her beloved husband of almost 64 years, Charles D. Cahall. Estelle is survived by her son Charles "Chuck" Cahall (wife Dawn), her grandchildren Charles Schmidt and Alexis Zhao, and her great grandchildren Mason and Isaac. Relatives and friends are invited to her Visitation Saturday, April, 6, 2019, from 10 to 11 AM, followed by Funeral Liturgy at 11 AM with Rev. Dr. Timothy Griffin officiating, at the Parish of All Saints Rhawnhurst, 7939 Frontenac Street, Philadelphia, PA 19111 (Between Loney and Ripley). Interment will be held privately.